Today I'm sharing with you my latest foray into gardening. I showed you the work we did in the front yard in the Flower Day post, and now we move on to the back yard. Along the driveway is a perfect area for a flower bed. 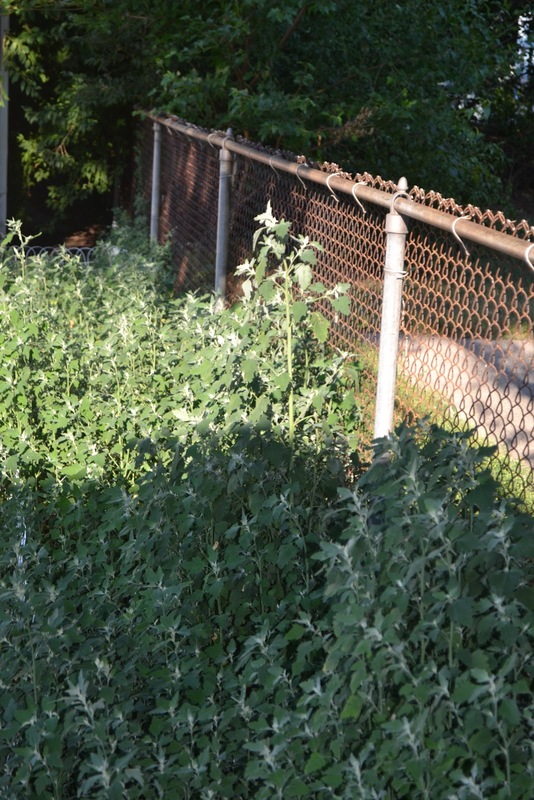 It's a long, dirt filled area that lines the fence between our yard and the neighbor's yard. I contemplated for quite a long time about what I should plant. I needed to make sure it could withstand a lot of sun and could take a few beatings from the dogs. 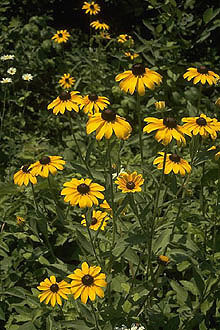 My step mom suggested I take some seeds from her Black Eyed Susan plants and spread them along the area. She thought it fit all of the requirements for that area. I followed her instructions, and during the spring, after the last frost, I spread the seeds. I made sure to give the plants plenty of plant food and water. 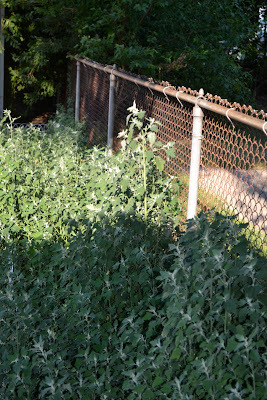 GB and I even put up a little garden fence to keep the dogs from trampling the plants. After a few weeks, little green sprouts began popping up everywhere and began growing rapidly. I kept a close eye on these plants, but needless to say, I was thrilled that with a little TLC I could grow beautiful flowers from seeds! Now that it is almost July, I was starting to get a little curious about these plants. They had grown taller than my step mom's plants ever were, and they didn't show any signs of buds for the flowers. Also at this point, I was regretting our choice in the cheap fencing. I didn't like the way it looked and I was planning on buying the cuter but more expensive fencing. 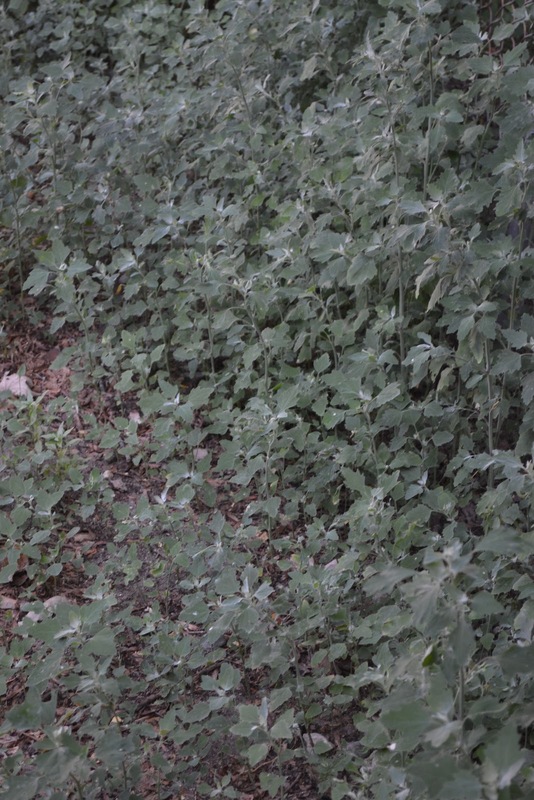 I began looking really closely at the plants and then I realized the big, bad truth. Take a look, and see if you come to the same conclusion I did. These weren't Black Eyed Susans. These were WEEDS! The seeds had never taken and I had been growing weeds. 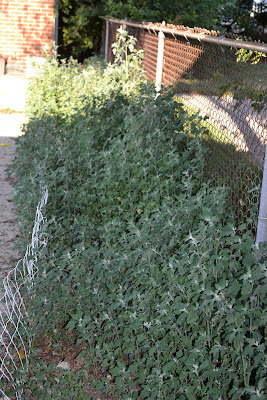 Not only was I growing invasive weeds, but I was growing them with the pride of a master gardener. I always joke with my sister, Sly, that I'm a better gardener than her. Those jokes may need to stop. Now that I've realized my major blunder, I had to come up with a solution. GB and I discussed what to do, and sadly we decided he just had to mow it down. There were too many to pull, so he just annihilated those weeds with the mower. I have to tell you, I am so disappointed. I really thought the bright yellow flowers would be popping up along the fence and shining in the sun. Finally, our backyard would begin taking shape and become a source of serious pride. Now for the rest of the summer we just have to work on prepping the area for next year. I'm determined to make this work, but I guess it's going to take some time. Have you ever made such a big mistake while gardening?